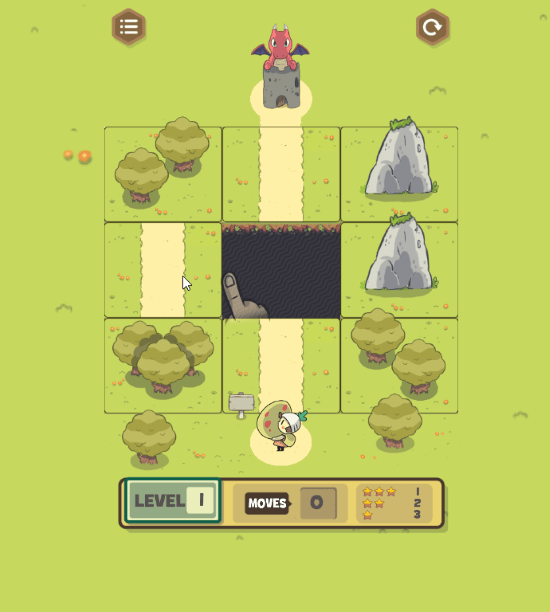 Dragon Egg Trail Map is a free Puzzle game for Windows 8. The game is all about a mother dragon who has lost her eggs and you are the only hope for mother dragon to bring her back all her lost eggs. The game comes with more than 25 exciting levels with good graphics and sound effects. You will be rewarded with 3 stars on the completion of each level if you will be able to complete a level within a minimum number of moves. This kids puzzle game for Windows 8 is specially designed for kids and helps them develop their thinking ability by exercising their brain. Dragon Egg Trail Map is very easy to get. I have provided a link at the end of the article which redirects you to the installation page on Microsoft Store. At the installation page, click on the Install button and Windows will install the game on your system automatically. You can also install this free puzzle game for Windows 8 directly from the Microsoft store searching it by its name. This free Puzzle Game for Windows 8 is very easy to play and understand. You have to complete the given puzzle with the minimum number of moves in order to get all three stars. Use your computer’s mouse to complete the puzzle. Press and hold the left click of your mouse to move a block. Difficulty level increases as you pass on to the next level. The maximum number of moves for getting all three stars will be displayed on your computer screen for each level separately. The computer counts all your moves and displays them on the screen, this will help you score high in this puzzle game for Windows 8. 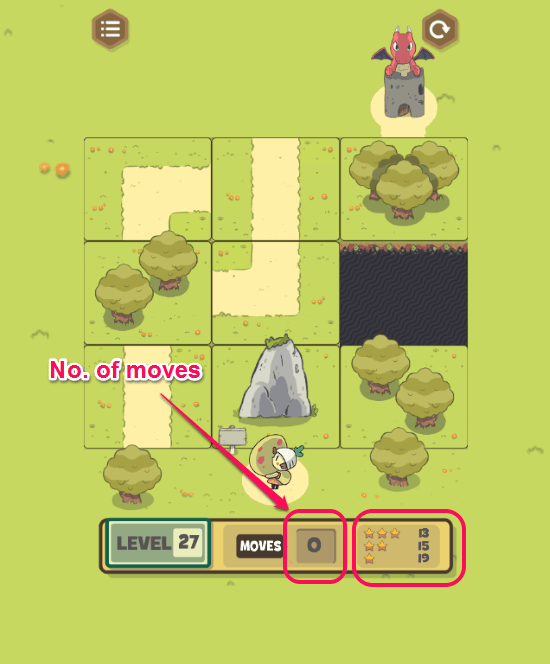 There is no move limit in the game, you can take as many moves as you want but remember, if you want to score high, you have to complete a level within the given number of moves. You can switch to any level or restart the current level anytime while playing this free puzzle game for Windows 8. Dragon Egg Trail Map is a free puzzle game for Windows 8 that is developed specially to boost the thinking ability of kids. The game comes with many exciting levels and good graphics. Download Dragon Egg Trail Map, free puzzle game for Windows 8 and 8.1 computers.